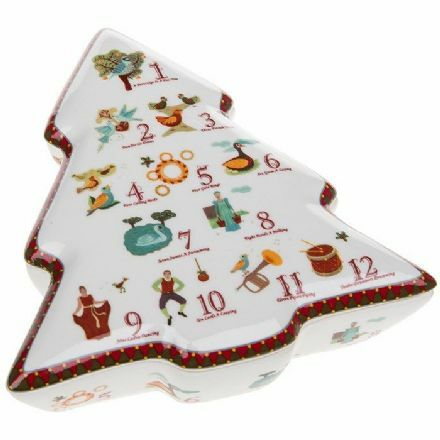 A perfect gift for that special person is this 12 Days of Christmas Tree Trinket Box. From the Leonardo Collection. 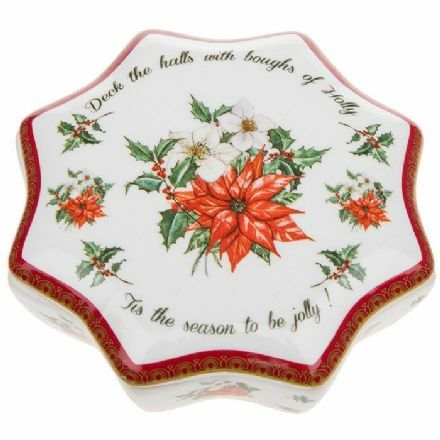 A perfect gift for that special person is this Deck the Halls Trinket Box. From the Leonardo Collection. 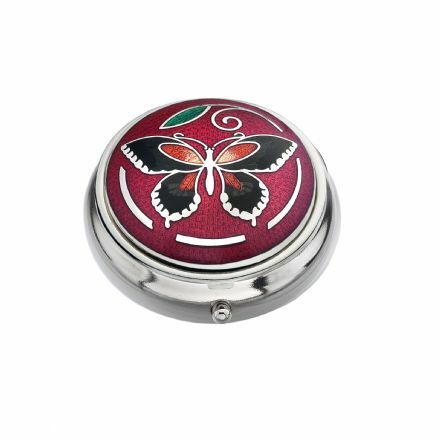 Red Multi Flower Pill Box. 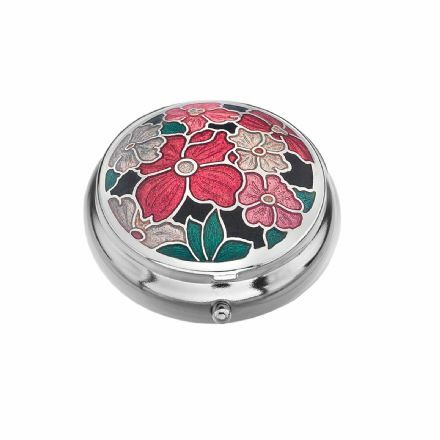 It looks absolutely delightful and perfect for storing your medication. 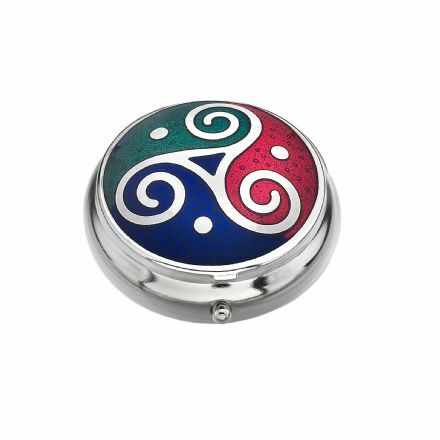 Pill Box with a Celtic Triskele design is very well made and from the popular Celtic range by Sea Gems. 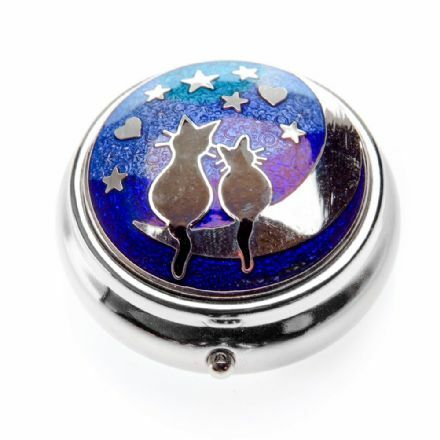 This superb Pill Box with Love Cats on Moon design is very well made and from the popular Celtic Lands range by Sea Gems. 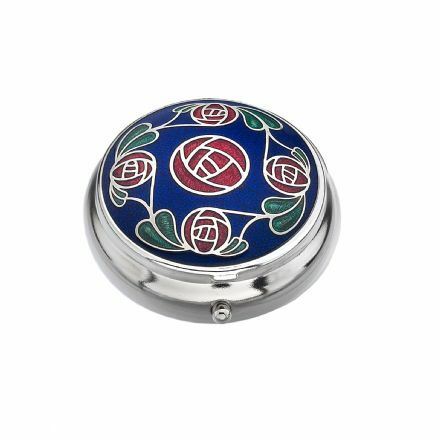 Pill Box with a Mackintosh Rose design is very well made and from the popular Mackintosh range by Sea Gems. 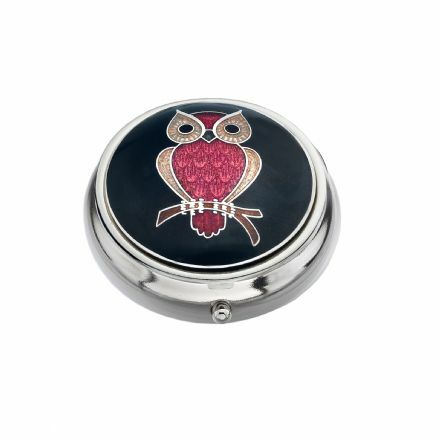 Red Owl Pill Box not only looks great but is very well made. From the Celtic Lands Range by Sea Gems. 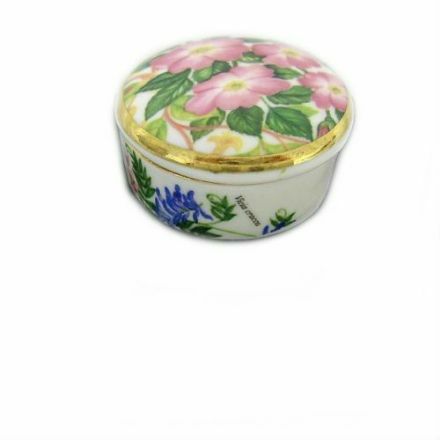 A very sweet and well made fine bone china Trinket Box. Produced in the UK by Albertine. It really would make a delightful gift. 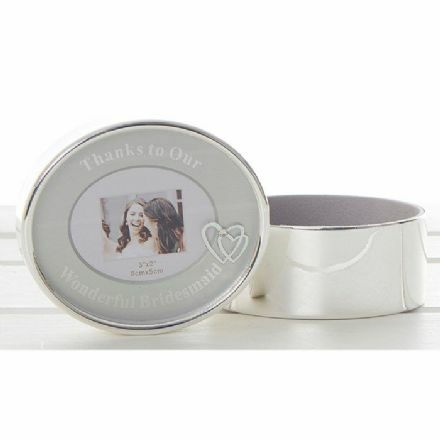 Ideal for keeping those little keepsakes safe with this beautifully made Trinket Box. 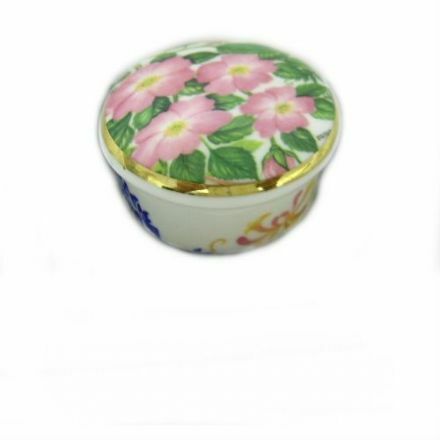 Made from Fine Bone China by Albertine. 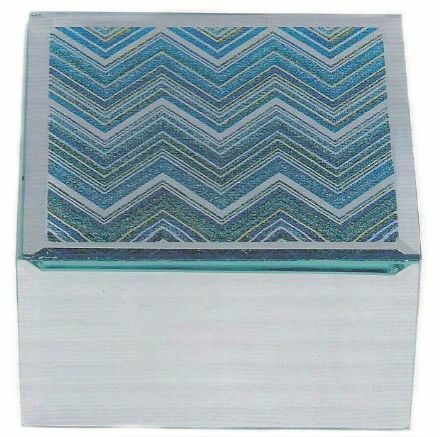 A very sweet and well made Mirrored Zig Zag Glitter Trinket Box. From the popular Leonardo Collection. It really would make a delightful gift.